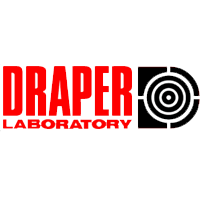 Draper Laboratory used MSC EASY5 to provide the graphical user interface (GUI) and infrastructure for a collaborative Virtual Product Development environment in the development of missile guidance systems. The open architecture of MSC EASY5 improved the collaboration by providing a direct link to other popular simulation tools, such as MATLAB/Simulink. Using MSC EASY5, Draper Labs reduced the high costs of testing very complex electromechanical systems by cutting simulation time from weeks to hours. Physically testing a missile guidance system is time-consuming and expensive. Add to this the need for collaboration between prime contractors and subcontractors, and the process becomes very complex and even more time-consuming. The simulation uses very detailed processor models, accepting binary code like an embedded processor and replicating its behavior. The rest of the system can be modeled around the processor. When a simulation is run, the software developer can actually look at how many clock cycles it takes to execute the code.